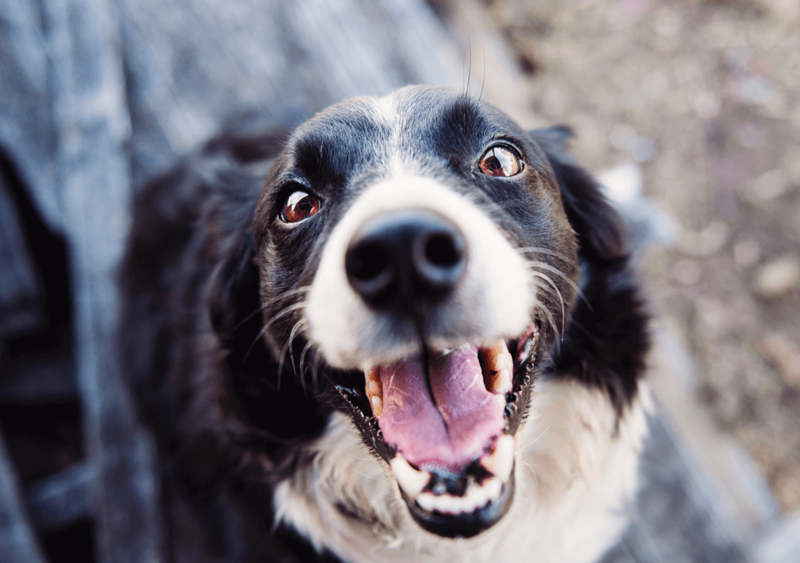 Pet Dentistry: Why Is It Important? When it comes to animal health care, we often overlook dentistry. However, proper dental care for your pet is important for the same reason it is important to care for your own teeth! The most common dental disease in pets is periodontal disease. That is, disease affecting the supporting structures of the teeth. Periodontal disease affects 90% of dogs and 70% of cats over 5 years of age. Periodontal disease is the result of bacterial infection. As it progresses, the structures supporting the teeth weaken, leading to loose and lost teeth. The infection also affects your pet in other ways, by showering bacteria into the blood to travel to their organs. This can impact the heart and kidneys, or the joints, which can both cause and/or exacerbate any diseases there. Consequently, an infected mouth can shorten your pet’s quantity and quality of life drastically. This is why your pets’ dental health needs to be assessed and treated just like any other part of the body. You are most likely to notice is a foul smell from the mouth, and brown tartar on the teeth. The smell is a sign that all is not well, and the tartar is dental plaque that has become mineralized. Plaque is essentially like a slime blanket of food, saliva, bacteria and other germs that coats the teeth, filling the pocket between the tooth and the gum. This is the disease causing culprit. It is important to have your veterinarian perform regular oral health examinations. We will assess whether there is any dental disease that needs to be treated. If the gums are diseased, or there are broken or infected teeth, it is critical to have the teeth x-rayed, assessed and cleaned before you try home care. This is because your pet’s mouth may be too sore for brushing, and you can damage the inflamed tissues. Only an x-ray can tell us what lies below the gumline. Even if the teeth and gums appear normal, there can still be disease hidden underneath. At Fisher Glen, we are equipped with a digital dental X-ray and a dental cleaning unit. When your pet comes in for a dental assessment and treatment, we take full-mouth X-rays, perform any extractions necessary with your permission, and do a full cleaning and polishing. We also stock dental foods and cleansing products to help you maintain your pet’s oral health. Research has shown that pets feel pain from these problem areas in an equivalent way to us. It would be nice if Fido would sit and hold his mouth open for an exam and cleaning. However, the reality is that our pets are just not that cooperative. Consequently, the only way to properly assess your pet’s mouth is under general anesthetic. Fortunately the anaesthetics we use today are extremely safe, and pose less of a risk to your pet than does neglecting their dental health. The first step in a comprehensive oral health assessment and treatment is an overall examination by the doctor. We do this to ensure that your pet is healthy and able to undergo an anaesthetic. We will have assessed your pet’s bloodwork already to make sure that all of their internal organs are functioning normally. This also allows us to make any changes to their anaesthetic regime to account for illness. The next step is anaesthesia. Your pet will receive a sedative approximately 20 minutes before their procedure, and then an intravenous catheter will be put in. We administer anaesthesia using an injectable drug, and subsequently we place a tube in their airway in order to administer an inhaled anaesthetic and oxygen. Additionally, we continuously monitor their breathing, blood pressure, heart rate and temperature during the procedure. The next step is taking x-rays with a special digital X-ray machine. While the doctor examines the X-rays, a veterinary technician begins the charting and cleaning of the teeth. This involves both ultrasonic scaling and hand scaling, so that we can remove all of the tartar and plaque below the gumline, where it causes the most damage. After the cleaning, the doctor will decide whether there are any teeth that should be extracted, considered for a root canal, or receive special treatment for periodontal disease. We are also able to do restorative enamel treatments, allowing us to save teeth that might otherwise require extraction. All extractions are performed by the veterinarian once permission is obtained from the owner. Any extraction sites are closed with absorbable suture material. For the final step we polish the teeth, and flush under the gumline with an antibacterial agent. We then wake your pet from anaesthesia and monitor them carefully during their recovery period. Once the teeth are clean and healthy, a home care program will help to keep your pet’s teeth healthy. Ideally this may involve brushing at least 4 times weekly. However if brushing is not an option, the are many types of dental chews, gels, and foods that can help. It is important to realize that your pet’s dental health lies primarily in your hands. The best thing you can do is to book timely exams with your veterinarian to check for potential issues. We are happy to discuss the full range of available pet insurance to help make dentistry bills more manageable. And we’ll work with you to create a healthcare plan that will keep your pet healthy for years to come. Visit us today! While you’re here, why not learn about all of the other Veterinary Services we offer here at Fisher Glen Animal Hospital? You can also visit our Blog for all the latest news and content from Fisher Glen Animal Hospital! Finally, Contact Us if you have any questions about veterinary dental procedures. We will be happy to answer any questions you may have!